Tap on a word and access it's parsing instantaneously. A pop-up window will display a dictionary definition, a link to more information, a gloss, and parsings. For more advanced study, you can search on the word's morphology as well. The Bible’s initial languages of Greek and Hebrew are available for you with the Complete Word Study Bible by AMG—a landmark work of forty six years of scholarship by its editor, Dr. Spiros Zodhiates. This set of resources equips any dedicated Bible reader to go deeper into God’s word via study of the Greek and Hebrew Languages. KJV with Strong's numbers, Greek and Hebrew dictionaries, and more! 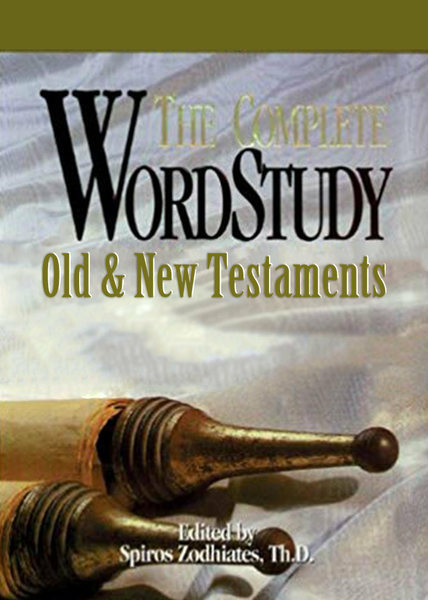 The Complete Word Study Bible New Testament and Old Testament each have a lexicon counterpart, each of which contain hyperlinks to Strong’s Numbers and grammar—allowing you to discover New Testament Greek words and Old Testament Hebrew words as you desire. These innovative, ground-breaking volumes include complete research information per volume. Read the King James Version as it becomes animated with vital Greek and Hebrew Meanings.